O'Donnell, Schwartz & Anderson, P.C. exemplifies excellence in representing labor unions, pension and health plans, and institutional and individual clients. For over twenty years, the firm has specialized in union-side labor law and employee benefits law, as well as civil rights and tort law. 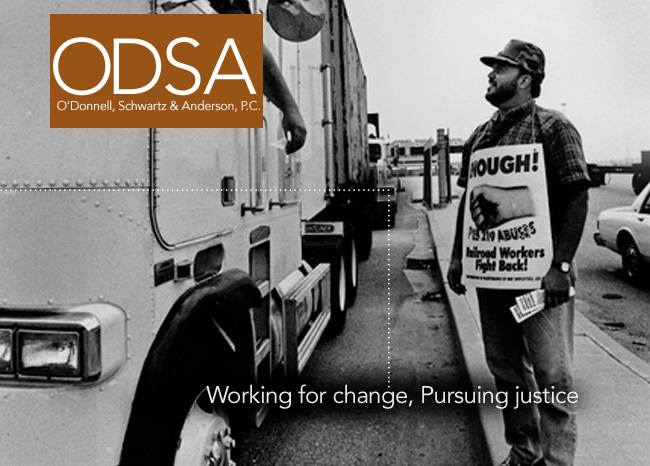 O'Donnell, Schwartz & Anderson's attorneys epitomize a shared commitment to social justice and high-quality legal work.